August 26, 2016 marked the one year anniversary of the first PSAP migration to the 911 Coordinating Council’s call handling solution. Participation in the program is voluntary and at the discretion of the PSAP or jurisdiction. The call handling solution includes AT&T and their partners, Airbus and ECaTS. The Kansas Data Access and Support Center (DASC) continues to provide GIS and web portal support. See the Statewide NG911 Value Statement below for more information on the call handling solution. This NG911 Security Policy reviews with each Public Safety Answering Point (PSAP) the essential aspects of security that ensure that the Kansas Statewide Call Handling System is not compromised either accidentally or intentionally. The Council reserves the right to audit NG911 systems and procedures on a periodic basis to ensure compliance with the security policy. From time to time, a random security audit may be conducted to ensure the integrity of our NG911 system and compliance with the PSAP security program. Following the security audit, a compliance report will be submitted to the PSAP and the NG911 security subcommittee. If necessary, the NG911 Liaison will assist the LASO to remediate any areas of concern. 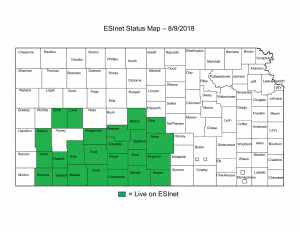 The 911 Coordinating Council and partners are working to deliver an Emergency Services IP Network (ESInet) to Kansas PSAPs. AT&T and the Kansas 9-1-1 Coordinating Council continue to improve the 9-1-1 experience in the state. 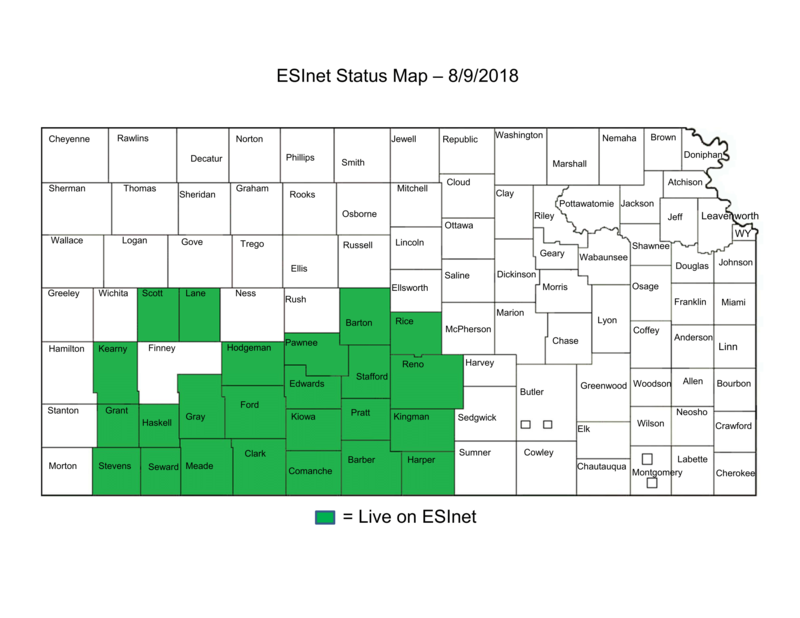 Kansas will be the first statewide deployment of AT&T ESInet™. AT&T ESInet is a new NextGen 9-1-1 solution that provides IP-based call routing services to emergency response centers. It will help Kansas boost 9-1-1 reliability, speed emergency responsiveness and improve disaster recovery. For Kansans, this means a faster, more reliable 9-1-1 experience. This builds on Kansas’ previous investment to modernize its outdated public safety technology with a NextGen 9-1-1 hosted call handling solution from AT&T. Emergency Communications is an evolving industry with the primary focus on next generation technology. As an industry we are responding to that technologic evolution but, for the large part, we have thus far ignored a large factor of the emergency communications industry – the dispatcher. The role an emergency telecommunicator plays in a public safety incident is just as critical as the role of any other first responder, therefore we need to do all we can to ensure that the public safety telecommunicators are prepared for that role. 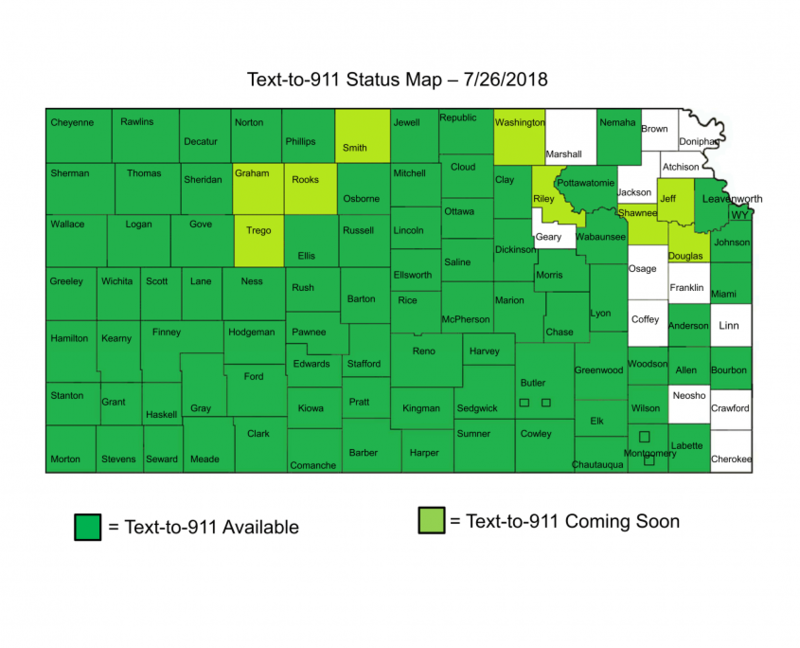 Text to 911 is coming soon to Kansas PSAPs on the Kansas 911 Coordinating Council’s Call Handling System. Updates will be posted on this page. PSAP personnel review the following to certify you are prepared to receive and answer 911 calls by text-to 911 on the Vesta call handling system. Q.1 How do I text 911? Look for the message icon on your cell phone. Put 911 in the number field of your text message screen. Then, put the location and type of emergency in the message field. Q.2 Why is Texting 911 Important? Texting is intended to benefit people that may not be able to speak due to an emergency such as a home invasion or abusive partner, as well as individuals who are deaf, hard of hearing, or have limited speech capabilities. Q.3 Who Has Text-to-911 Capability in Kansas? You can see the map of which 911 agencies this initiative covers above. Q.4 Does Text-to-911 replace voice 911 calls? Texting should ONLY be used when you are unable to make a voice call to 911. If you are able to place a voice call, we are able to gather information more quickly from you about the emergency, your location and what hazards responders may encounter. If, however, you are unable to place a voice call, Text-to-911 is an option you can use to share this same information. The key thing to remember is Call if You Can, Text if You Can’t. Q.5 What are the challenges with accepting 9-1-1 texts? The 911 Call Center cannot identify the person’s exact location. In fact, location accuracy is worse with text messages than when you call into 9-1-1. Additionally, it can take more time for a call taker to respond to a written text messages or we may receive gaps if messages don’t come through. Q.6 What happens if someone texts a 911 call center that does not accept texts? Anywhere 911 text services are not available, callers should receive a “bounceback” message that says text-to-911 is NOT available in that area. Q.7 Can I send photos and video? For the moment, 911 can only accept written words. Accepting pictures and video will be coming in the future; however, many of the carriers cannot transmit multi-media messaging (MMS) at this time. Q.8 Can I send emojis? No, most phones turn emoticons into multi-media messages (MMS) which are currently blocked by the phone carriers. This means your whole message to 911 may be garbled or simply won’t come through at all to 911. Q.9. Can I include 911 in a group text or send text to 911 while roaming? No. If your phone is in roaming mode or you add 911 to a group text, we will not receive your message. Q.10 Will this cost the public more money? 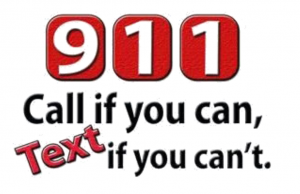 There is no cost to the person texting 911. You must have a text or data plan with your wireless provider to text 911. Q.11 Who governs Text-to-911 exactly? The FCC required the wireless carriers to offer Text-to-911 service. Q.12 Is there an FCC regulation that requires 911 centers to accept text to 911? At this time, the Federal Communications Commission (FCC) has only placed a regulation on the wireless carriers to make text available. Currently, 911 centers are not required to accept text messages. Given the nature of SMS Text-To-911 calls and the statutory mandate to provide answering of wireless emergency calls, it is apparent to the Council that participation in receiving SMS Text-To-911 is not optional, but is rather a statutory duty. It is therefore, the opinion of the Council that all Kansas PSAPs must either provide or contract for the 24-hour receipt of SMS Text-To-911 messages for all wireless service areas within their jurisdictional boundaries. Title II of the ADA covers telephone emergency service providers and other State and local government entities and instrumentalities. The Americans with Disabilities Act (ADA) requires all PSAPs to provide direct, equal access to their services for people with disabilities. There is a current pending lawsuit, in the U.S. District Court for the District of Arizona, which specifies that in Maricopa County, and the City of Surprise, a person who is deaf or hard of hearing cannot contact 911 via text and as a result is in many circumstances wholly unable to access 911 services that are “critically necessary and available to individuals without disabilities. The failure to make 911 accessible to individuals with disabilities violates both Title II of the Americans with Disabilities Act of 1990, and Section 504 of the Rehabilitation Act of 1973, 29 U.S.C. § 794 (emphasis added).